The Doc is in the house sharing her newest indooor workout!!! Check it out! For us runners, this “polar vortex” could be putting a temporary kibosh on running outside and forcing us to the treadmill (*GASP* the horror of it all). I, for one, cannot stand running on the treadmill for longer than 30 minutes. Maybe I can go up to 45 minutes if, and only if, I have a juicy celebrity magazine and/or a good Bravo Housewives episode on a TV directly in front of me. So what is a girl to do during these trying artic times? Why not use the opportunity to try something NEW! 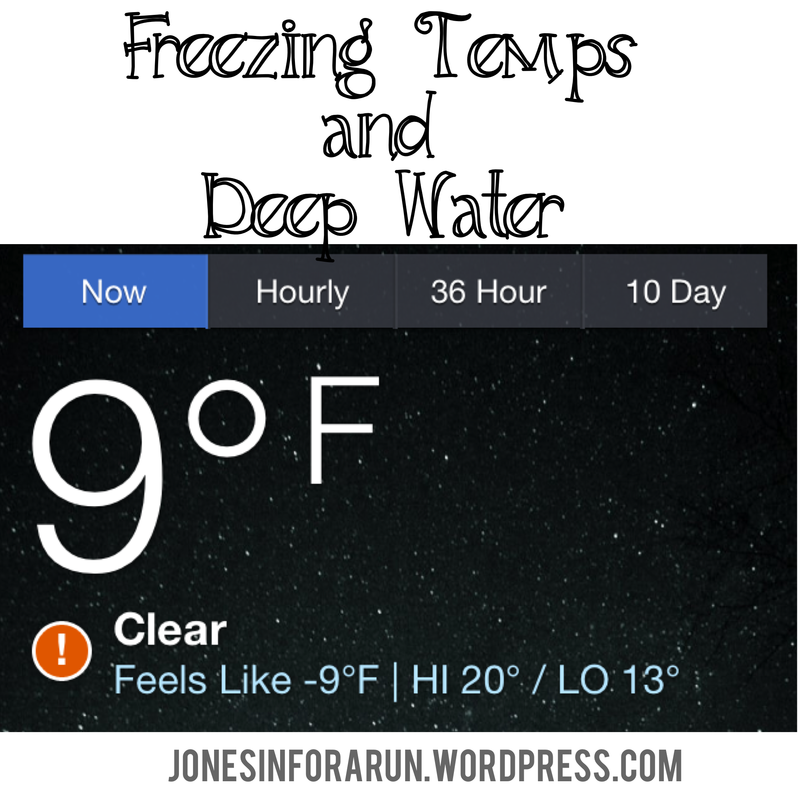 So you might be thinking, “Deep water running…. How hard could that really be?” Let me answer you with this, “Hard. Really, Really Hard. You might want to take a nap afterwards.” Deep water running is the perfect workout for anyone at any fitness level. It’s a low impact, total body workout – and if you are an avid runner, this gives your body a chance to recover from consistently pounding away on the pavement and treadmill. Like any workout, you can make it as hard or as easy as you chose to make it. If your legs are not screaming for mercy during hard efforts then you are either doing something incorrect or just not pushing hard enough! Here is a little fun fact for you: Olympic runner, Mary Decker Slaney set a world record at 2,000 meters after a month in the pool and only one fast track workout prior to that race. So deep water running is my indoor activity – what are some of yours? Previous Post 5-miler, 5k and Shiny Medals! Great review of water running. I’ve been considering this. Thanks! It was a great workout and I look forward to doing this type of workout more often. Please check back and let us know how you like it once you try it! !